One of the most widespread casino games is Baccarat or otherwise known as Punto Banco. Many brick and mortar casinos offer this game as it has proven to be exciting and entertaining. It is undoubtedly one of the casino classics and as such, it is no wonder that a number of players opt for it. Nowadays, it is also possible to play Baccarat online, along with some of its variations, which enable gamblers to get excited at the comfort of their home. Thanks to the many available online casinos, it is no longer necessary to go to a traditional land-based casino in order to enjoy this game. Baccarat is a game of chance that has moderately simple rules. The possible bet choices, players can make, are also very easy to understand and learn. The game grew in popularity so much due to its simple but intriguing nature. What makes Baccarat so enticing is that it keeps players in suspense which significantly increases their level of excitement. The game appeals to a number of gamblers globally and this is the reason why it is offered both online and offline. In Baccarat, two hands are dealt and the winning hand is the one that has the highest total. It is possible to choose among three types of bets – the ‘Player’, the ‘Banker’ and the ‘Tie’ bet. It is very easy to figure out the usage of the wagers as they are labelled accordingly. Before each coup, players have the chance to try their luck by choosing one of the available bet options. Every Baccarat table has a designated area where the wagers are placed. In most cases, the betting section is labelled with the name of the bet which is extremely convenient for players as they can easily orientate where to put their chips. It is also worth mentioning that since this is a game of chance, there is no way to influence the outcome of every coup. This is the reason why players should consider the available information about the bet types in advance in order to know which one gives them the best chances of winning and which one is to be avoided. The ‘Banker’ bet is known among proficient Baccarat players as the best option due to the fact that it has the lowest house edge in comparison to the rest of the available wagers. However, it is worth mentioning that since this bet is highly favourable for the players, the casinos get a 5% commission every time it wins. Sometimes, the percentage of the commission might vary, depending on the particular casino and the variation of the game. Thus, just to be on the safe side, it is always best to double check it prior to playing. The ‘Player’ bet is the second best choice, players have when playing Baccarat. Its house edge is more favourable than the ‘Tie’ bet but less beneficial if compared to the ‘Banker’ bet. However, this is the reason why there is no commission when this wager wins. By placing a wager on the ‘Player’ section, gamblers bet that this particular hand will be the winning one. Since Baccarat, in most cases, is a high-stakes game, it is compulsory to take into account the pros and cons of every bet in order to make the best possible decision. Whenever players opt for the ‘Tie’ bet, they hope that both hands – the banker’s and the player’s – will have an identical value. However, the odds that this best-case scenario will occur, are against them. Even though the payout of the ‘Tie’ bet is much more enticing than the rest of the available betting options, its house edge is highly unfavourable and therefore, it should be avoided. In general, not many players take the risk to place this type of wager as it is noticeable, even without doing the math, that the chances that both hands will have an identical value are rather small. The Tie Bet payout is 8:1 or 9:1 depending on the casino. The Player Bet payout is 1:1. The Banker Bet payout is 1:1 but the casinos gets a 5% commission. It is extremely easy to place a bet as every Baccarat table has three sections which are labelled as ‘Player’, ‘Banker’ and ‘Tie’. This way, players can clearly see in which area to put their chips and make the bet they wish. Once seated, they will be able to easily find the betting area as it is conveniently located in front of every player. The nearest to them is the ‘Player’ section, then the ‘Banker’ one and the betting area, that is located the furthest from the players, is the ‘Tie’ bet. The commission boxes and the chips are placed in front of every dealer and all that it takes to play, is to simply choose one of the available wagers and put the desired amount of chips in the respective area. The average payout is one of the most important factors that players should always consider when playing a casino game. In Baccarat, the ‘Player’ and the ‘Banker’ bets have the same payout percentage, whereas the ‘Tie’ wager differs from them. However, players should bear in mind that in cases when the ‘Banker’ bet wins, a 5% commission applies on their winnings. The payout for the ‘Player’ and the ‘Banker’ bet is 1 to 1, whereas the ‘Tie’ bet pays off 8 to 1 or 9 to one. As seen, the payout for the ‘Tie’ wager can vary, depending on the casino. It is always best for the players to know all of their bet options, even if it is advisable to avoid the ‘Tie’ bet for various reasons. Since Baccarat is a game of chance, it is essential to get familiar with the bet types, their house edge as well as their payout, in order to make the most of every game. Just like many other card games, in Baccarat, players have the chance to increase their level of entertainment by placing some of the side bets. They are optional and differ from one casino to another. It is worth noting that they also vary, depending on the version of the game. Baccarat enthusiasts have the chance to put a number of diverse side bets, including Dragon 7, Panda 8, Dragon Bonus, Perfect Pair, Big and Small Bets and others. Thus, prior to playing, it is recommended to get familiar with the available side bets in order to be able to take advantage of them, whenever they are available. By placing a side bet, players can win more substantial amounts, especially in a high-stake game such as Baccarat. Players should always bear in mind that these types of bets are rather risky which is the reason why it is best to get acquainted with them beforehand. 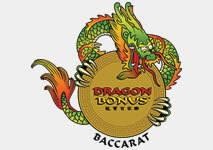 Dragon Bonus is one of the most popular side bets and it is most commonly offered in Mini Baccarat. Its payout for nine points is 30 to 1 and players have the opportunity to place it on either the ‘Player’ or the ‘Banker’ hand. Whichever hand gets the highest score wins and if players have placed a bet on it, they get paid. This side bet offers them higher returns, if they are willing to take the risk. The amount they are going to win, depends on the margin of victory. This side bet offers 2.65% house edge, providing that the bet is placed on the ‘Player’ section and that the game is played with 8 decks. Since the ‘Banker’ bet is the one that has the best odds, its house edge is significantly increased – 9.37%. Therefore, it is considered to be unfavourable and players should refrain themselves from placing it. One of the most played variations of Baccarat is EZ Baccarat. This variation highly resembles the original game and in most cases, it offers two side bets which players can place – Dragon 7 and Panda 8. Thanks to them, they have the opportunity to win big and increase their level of entertainment. 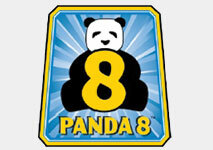 Panda 8 is a well-known side bet which has proven to be highly enticing and interesting. If players decide to give it a shot, they will get paid if the Banker’s hand collects 8 points in only three cards. The payout is usually 25 to 1 and the house edge is calculated to be around 10.19%. The Dragon 7 side bet is similar to the Panda 8 one. Players win, providing that the Banker’s hand gets 7 points in only three cards. The payout is 40 to 1 and the house edge is 7.6%. Perfect Pair is a side bet that can be found in Baccarat games that are powered by the prominent software provider Playtech. If players decide to try their luck by placing it, they will get paid if the first two cards are identical in terms of suit and rank. The payout for this side bet is 12 to 1 and the house edge is 13%, providing that the game is played with 8 decks. Baccarat is one of the most played casino games due to the fact that it offers players the chance to get a high level of entertainment by placing a number of exciting bets. Its moderately low house edge and simple rules are among the things which also attract many players worldwide. It is a game of chance and as such, its outcome cannot be influenced by a reliable strategy. Therefore, it is essential that the players get familiar with all of the available options they have, including the bet types as this way, they will be able to make the best choice and fully enjoy the game.